I’m Ed Smith, a Fairfield wrongful death lawyer. Fairfield traffic accidents involving drug or alcohol impairment rose from a total of 88 in 2016 to a total of 140 in 2017. This represents a startling increase in drunk driving accidents affecting residents of the city and an increase in the number of people who receive serious injuries as a result of otherwise avoidable accidents. Additionally, local authorities have increased traffic enforcement in recognizing impaired drivers throughout the city to preserve public safety. Officer Will Shaffer from the Fairfield Police Department (FPD) reported that the upswing in DUI numbers is partly due to an increase of DUI motorists on Fairfield’s streets. However, Shaffer also noted that the increased number of recorded DUI incidents is also due to officers “getting better at recognizing” drivers who are intoxicated by drugs. Officer Shaffer added that it isn’t only alcohol that officers are seeing, but that drivers under the influence of prescription medications, marijuana, and an “expanding list” of narcotic substances. Officer Shaffer told a press gathering of around 20 individuals, about half of whom were concerned citizens, that FPD is responding to the noted increase in DUI incidents by increasing officer training. The gathering was part of the department’s monthly education forum that takes place at Fairfield City Hall. Officer Shaffer is one of the 10 officers that FPD has trained as Drug Recognition Experts, a qualification that requires undergoing an extensive training program over the course of two weeks. This program trains officers to meet standards of expertise recognized by enforcement agencies around the globe. Additionally, FPD is reportedly going to add two motorcycle officers within the next six months and nine more patrol officers to the city’s streets within the next year. Officer Shaffer noted that the substances affecting drivers are various and emphasized the use of opioid prescription medications as a growing issue. Officer Shaffer indicated that drivers should treat marijuana and prescription drugs “like alcohol” and should practice the same caution when asking themselves if they are safe to drive. Moreover, Officer Shaffer reported that the effects of some drugs can impair drivers even after they stop feeling the immediate effects of the drug. Officer Shaffer cited a study published by Stanford University that tested drugs on airplane pilots and found that intoxicants can impair drivers for up to 24 hours after the initial effects reside. 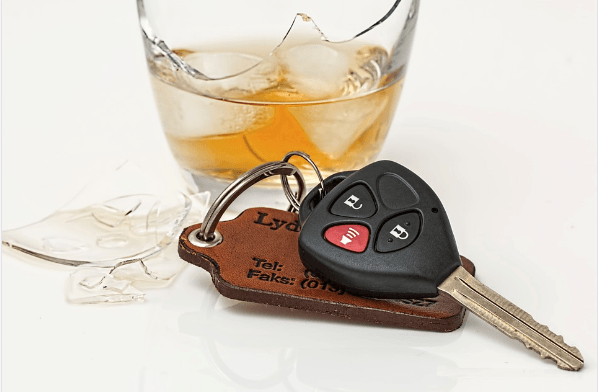 Drunk driving is a serious issue and it is estimated by the National Highway Traffic Safety Administration (NHTSA) that one-third of traffic accidents involving fatalities are caused by drivers who are under the influence of an intoxicant. Additionally, according to a recent court ruling, if an individual can be shown to have “more than common knowledge” of DUI’s effects, a charge that could have been considered as vehicular manslaughter can be raised to murder. I’m Ed Smith, a Fairfield wrongful death lawyer. 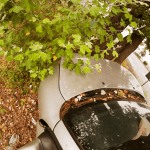 Motor vehicle accidents caused by reckless drivers often have serious consequences. If you or a member in your family has been injured in an accident, please contact me at (707) 392-9400 or toll-free at (800) 404-5400 for free, friendly advice. I’ve assisted residents of Fairfield with claims that involve wrongful death and/or personal injury for 36 years and counting. I am a current member of the Million Dollar Advocates Forum, a group of trial lawyers who have settled or won cases worth more than one million dollars in value for their clients. Feel free to browse my Verdicts and Settlements page.